Wongamania társasjáték - Magyarország társasjáték keresője! A társasjáték érték! A Wongamania egy remek társasjáték, 2 - 6 játékos részére, az átlagos játékidő rövid, csak 30 perc. A társast, 8 éves kortól ajánljuk kipróbálni. A játékmenet erősen épít az áru spekuláció, a pakli tervezés és a szimuláció mechanizmusokra. You have seen powerful politicians, central bankers and financial institutions shape the events of global economics. How will you like to be in their shoes for once? Wongamania presents you the opportunity to be both the man on the street, and the powerful invisible economic force dictating the fate of the financial markets. As you strive to accumulate wealth and bankrupt your enemies, learn about the economic forces that can either make you a tycoon, or a pauper. 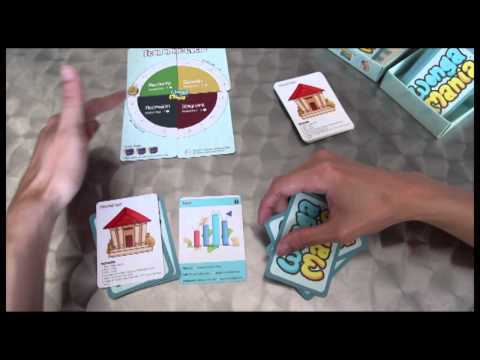 Wongamania is a modern economic card game for 2 to 6 player. 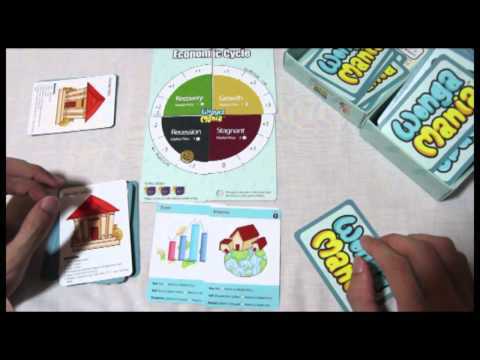 It places you in a simulated economic cycle, where you have to accumulate wealth using stocks, bonds and properties through economic bloom and gloom. An average game will see you learning how to juggle different asset class in order to make money during good or bad times. At the same time, you will also play the role of market forces, putting your friends (or enemies) through personal hardships and economic turbulence. Wongamania is the first of its kind, to bring you through the world of inflation, interest rates, taxes and political turmoil. 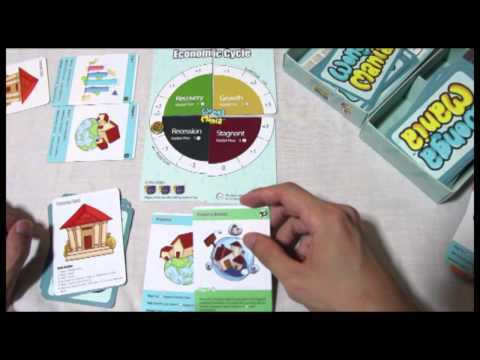 While letting people have interactive fun and learning about economics are some of the objectives of this game, the Wongamania also wants to highlight some of the financial loopholes in the financial system. Insurance fraud, scamming people of their hard earned money and moving money offshore, profiting from insider news, and relying on political connections to make money. All these themes are illustrated subtly within the game, to warn the man on the streets on how the game of money is stacked against them. Of course, a player may risk retribution from other players for going against the very sense of morality by employing such strategies in the game itself. 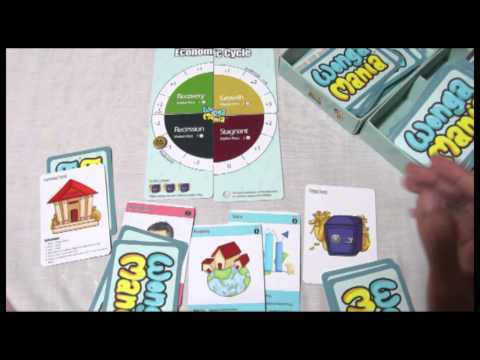 A non-retail limited launch edition of Wongamania was launched in August 2014 using the classic money colors of blue and gold, as a thank you gift for supporters, fans and advisors who helped to create Wongamania. 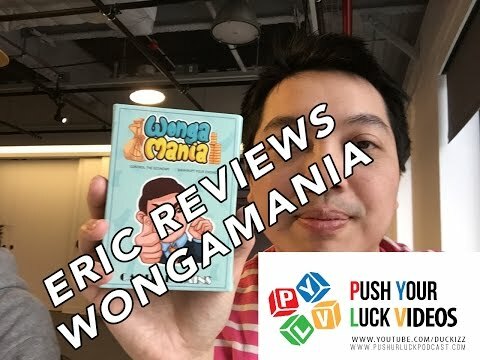 The new retail edition of Wongamania features a different local Singaporean artist, with new and more colorful graphics, improved game rules, and enhanced card mechanics that will give players more flexibility to accumulate money, while taking down your enemies at the same time. 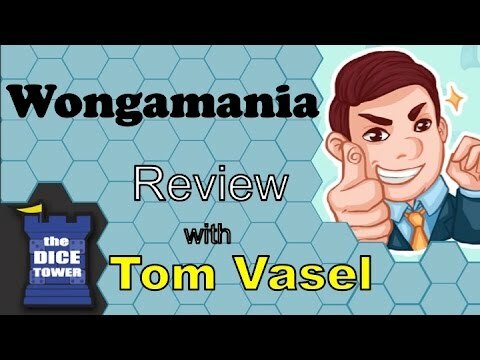 Wongamania | How to Play ep 4: Bankruptcy!